Great movie. Lois Lane smokes, her son by Superman has asthma and she is shacking with Cyclops from the X-Men (Richard played by James Marden). Lois basically has two boyfriends in this film. The original Lois Lane from the television show is in the opening scene with Lex Luther. Jimmy Olsen from the original TV show is a bartender in the film. Lex Luthor has the ultimate 300 foot three story yacht with a helicopter and landing pad. Lex wants to pollute the ocean and destroy the land. The yacht is named Gertrude after Gertrude Vanderworth, Noel Neill's character who died and left Lex her estate. Kitty, Lex's girlfriend tricks Superman, which almost got him killed but then betrays Luthor, which probably saves the earth. Some Passion of the Christ religious symbolism is applied to Superman in this movie. Savior and all that. 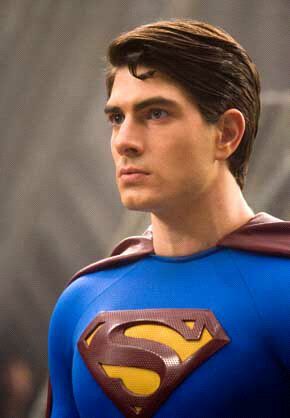 Remember that Christopher Reeve went back in time to resurrect Lois Lane. If Superman is Jesus then Lex is definitely Satan. The special effects are great. Superman is shot in the eye at point blank range and the bullet just flattens and falls to the ground. We think people have wondered about this so the filmmakers decided to show us. The flying is great and the overall attention to detail throughout the movie is awesome.